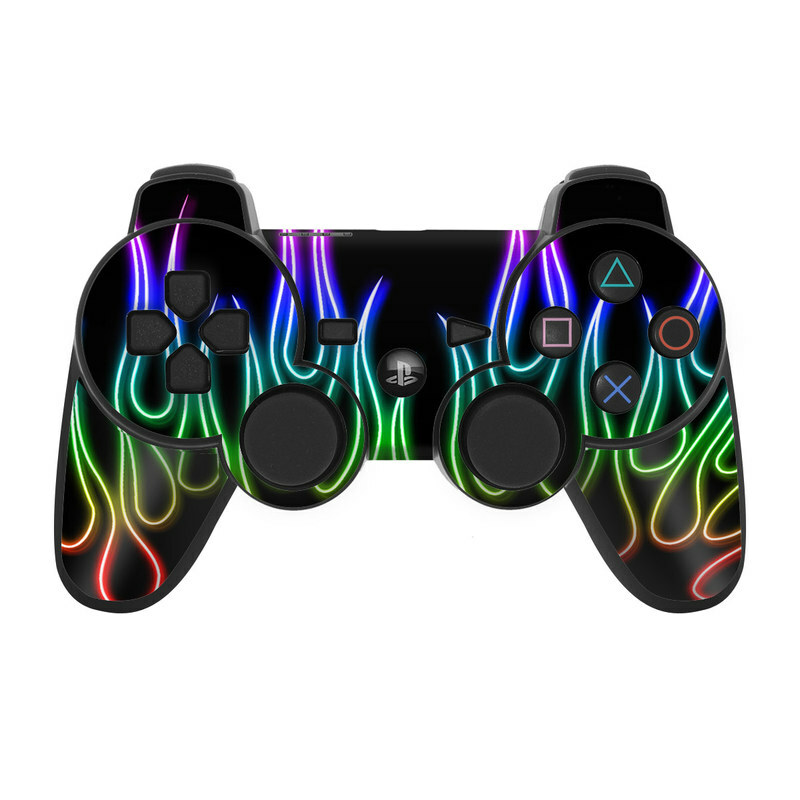 iStyles PS3 Controller Skin design of Text, Light, Neon, Font, Neon sign, Graphics, Graphic design, Visual effect lighting with black, red, yellow, green, purple, pink colors. 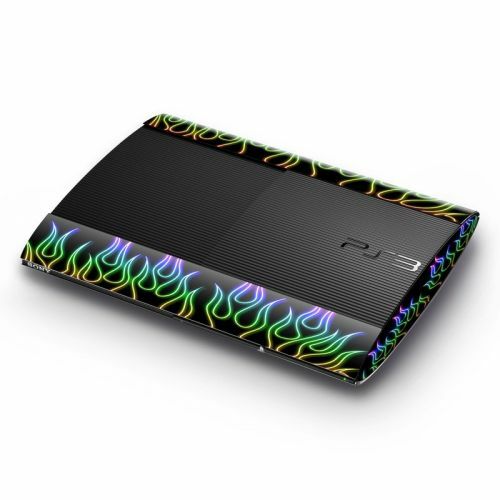 Model PS3C-NFLAMES-RBO. 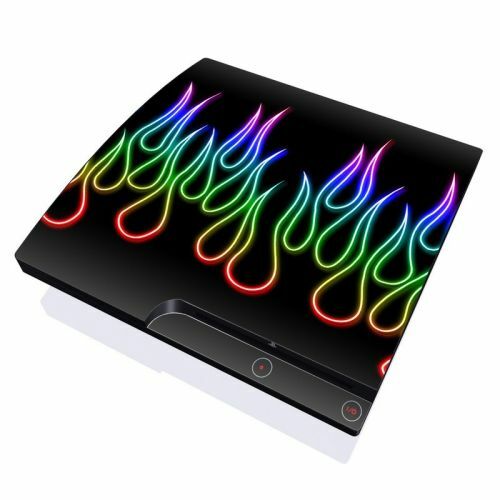 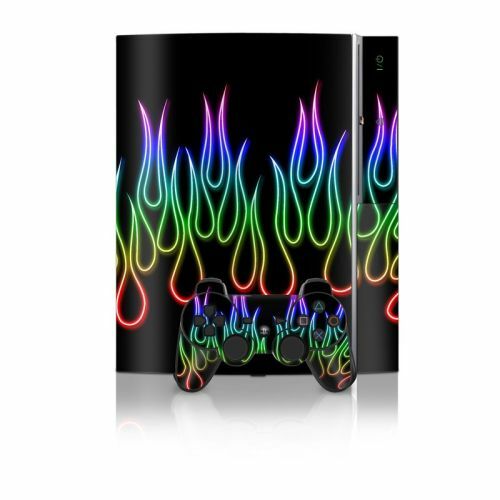 Added Rainbow Neon Flames PS3 Controller Skin to your shopping cart.